Anyway, after about a week on whole30 – when I was so sick of eggs I wanted to scream – I began to venture out and try new things. Turns out I am actually a great cook, and somewhere before I hit day 30 I fell in love with being in the kitchen. Who would have thought. When I had the opportunity to work with Collective Bias and ConAgra this week to create a new Mexican-inspired recipe, I was stoked. Everyone knows that I would eat Mexican food every single day if I could, and since I am at the end of a whole30 round I was excited to create something that was not only tasty, but compliant, and would cure my craving for a delicious Mexican dish. I looked through cookbooks, perused on Pinterest, but could not find what I wanted. That left me – alone in a kitchen – to come up with something amazing. Mission: Accomplished. One thing I have learned with whole30 is to really enjoy the natural taste of food. I prefer minimal ingredients now and love to let the flavors really shine through. Plus let’s be real – busy moms want simple and delicious recipes their family will love – no one has time for 82 ingredients or spending two hours in the kitchen. Good news is when you use the best ingredients – it is easy to make a meal delicious with only a few steps. I had about 10 minutes to shop and 40 minutes to cook – so I knew I had to get creative. I have become completely obsessed with cauliflower rice, and I want to put fresh cilantro on everything these days, so that is where I began. 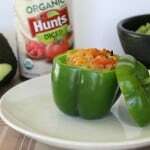 Close to the cauliflower I found perfect little bell peppers and an idea was born. Next thing I knew I had my buggie half filled with delicious fresh produce and I was heading off to find my tomatoes. A quick trip through the meat section and voila – 9 minutes later and I am ready to roll! I came home, got to cooking, and before my time was up I was serving a delicious Mexican meal – that even my Mexican fiance was impressed by! Go me! Begin by browning your turkey in a deep skillet until no pink is left. Put in a bowl and set aside. In the same skillet brown your cauliflower “rice” until cooked through and beginning to brown. Add in your cooked turkey, tomatoes, chicken stock and seasonings. Let simmer about 5 minutes or until stock is absorbed – stirring often to prevent sticking. Cut the tops off fresh bell peppers and remove seeds and ribs. Place in a deep baking dish – nestling them in together so they will stand up. 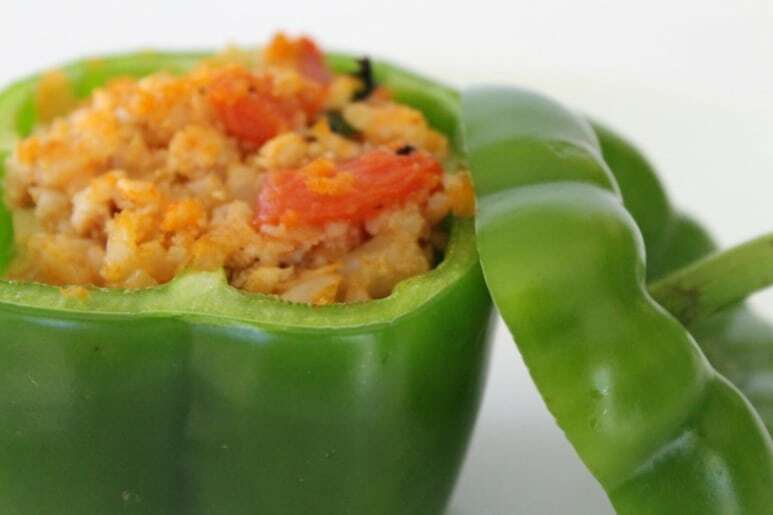 If you like your peppers soft, you can bake them empty for about 10 minutes before filling. Since we like them firm I immediately stuffed and baked them in the oven at 350* for about 20 minutes or until tops begin to brown. 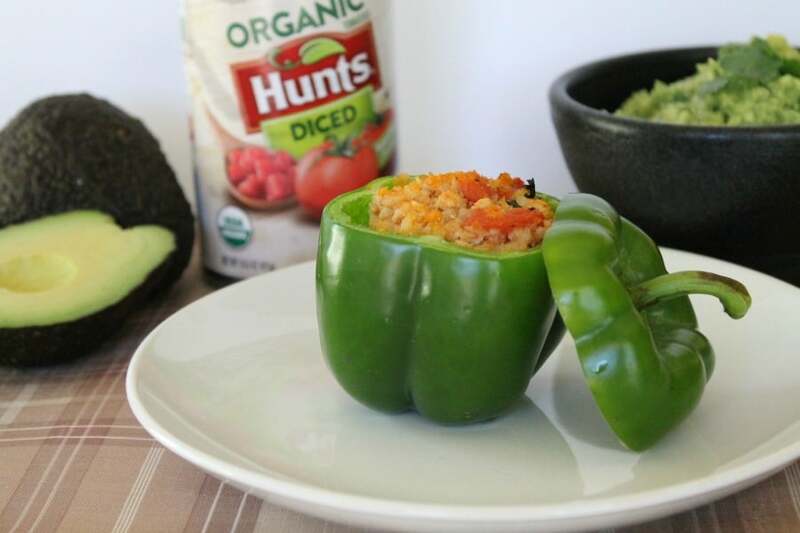 Serve with your favorite whole30 guacamole! This recipe makes a LOT of stuffing – which is great because it heats up perfectly the next day. In fact I have been eating it warmed up with just some fresh guacamole on top! I only have a few days left of my whole30 – but this recipe will absolutely stay in our rotation no matter what. I loved it, Mike loved it, and the girls loved it so much they even took leftovers to school today. I call that a super big win. 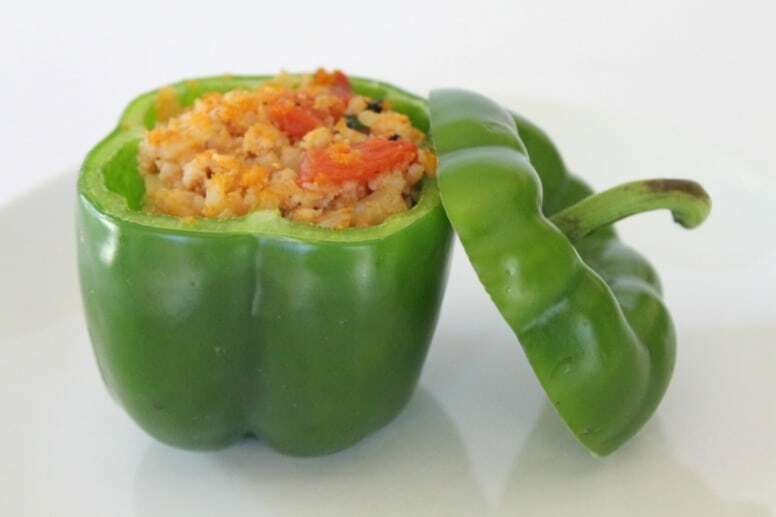 The next time you are craving Mexican but want a healthier alternative at home, I highly recommend these super simple stuffed bell peppers. And check out more Mexican inspired recipes here! 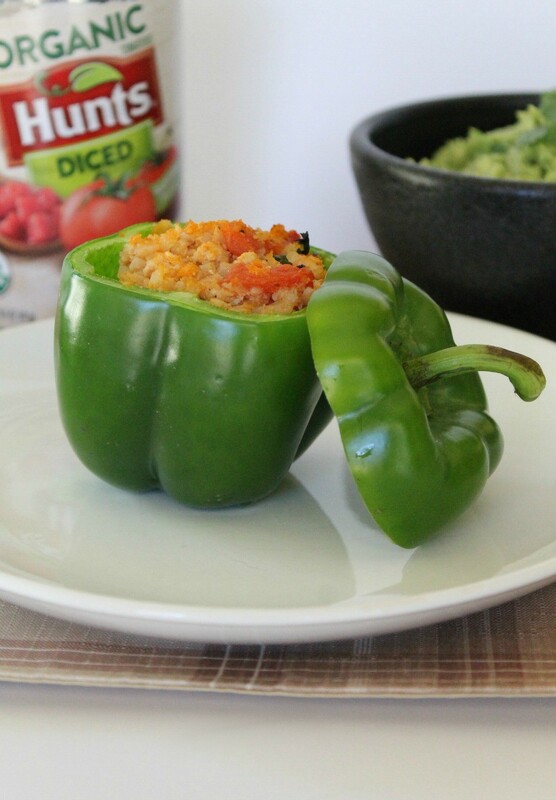 I liked your recipe for Southwest Stuffed Bell Peppers. I am going to try it. 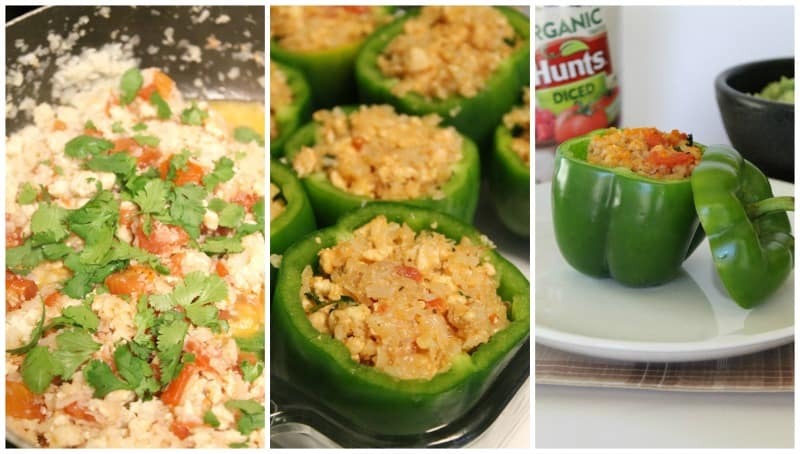 I use bell peppers alot in other foods I cook but I haven’t made stuffed bell peppers in ages….a long time. Sounds delicious and I’ll give it a try.